Love it or hate it, modern country music is a force to be reckoned with. At a time when conventional wisdom has musicians stockpiling unsold copies of their albums to be burned for warmth during the winter, sales of country albums have remained relatively steady, and around a quarter of U.S. adults identify as country music fans. Still, the genre remains pretty easy to mock for its perceived preoccupation with pick-up trucks, beer, hot summer days, and so forth. Now, YouTuber Sir Mashalot has created a mix of popular country tunes that reveals just how formulaic the genre has become, confirming the suspicions of millions of urbanites who happened to turn on the radio during their rare trips outside the comforting womb of the major metropolitan area. 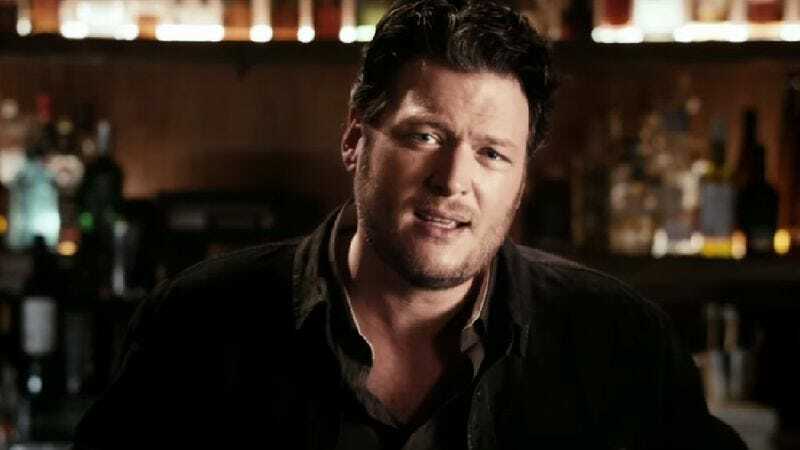 The mashup includes six songs, including ones by big acts like Blake Shelton and Luke Bryan, all of which performed strongly on the charts. There are indeed references aplenty to cars and beer and summertime, but what’s more striking is the nearly identical instrumentation and chord progressions. At one point, all six songs are overlaid on top of each other, and it’s a bit alarming how perfectly they fit together. The notion that popular country music is dependent on formula likely won’t surprise many people—it’s a business, after all, and businesspeople want to go with what works. Still, it’s enough to make you winsome for popular country artists like Willie Nelson, Hank Williams, and Loretta Lynn, who at least injected some personality into their music. Even the straight-laced Reba McEntire could get a little edgy on occasion, which doesn’t say much for her successors.